AUSTIN (Scrap Monster): The Dallas City Council has voted to eliminate the nickel fee on single-use plastic bags, by a 10-4 vote on June 3rd. The Council has also rejected the proposed ban on bags last week through a 9-6 vote, despite strong campaigning by council member Dwaine Caraway. Effective June 8th, Dallas grocery stores and other merchants have started offering plastic bags without charging 5-cent environmental charges. According to sources, City of Dallas has collected more than $500,000 in “environmental” fees since 1st January this year, when the bag fee ordinance came into effect. The Council will now decide what is to be done with these funds. 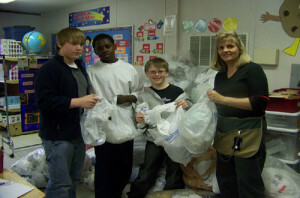 The Dallas plastic bag ordinance had failed to obtain support of residents. More than half of Dallas residents had opposed the ordinance during a poll conducted by the Dallas Morning News in May this year. The fee imposed on plastic bags was likely to die in court, as it violated the state statute that prohibits imposing fees on containers. Earlier in May, a coalition of plastic bag manufacturers and recyclers had filed a lawsuit against the City of Dallas, alleging that bag ordinance 29307 was in violation of the Texas Solid Waste Disposable Act. The lawsuit had referred to the ruling made by state Attorney General Greg Abbott in August last year that bag fees are likely to violate state law. The suit also termed the 5-cent bag fee as an illegal tax. The Council vote in rejection of the ban was widely welcomed by various groups including ‘Bag the Ban’, which had fought a fierce battle against prohibition of plastic bags. According to them, plastics are 100% recyclable products. The manufacturing and recycling industry has made huge investments to enhance and promote the sustainability of bags.